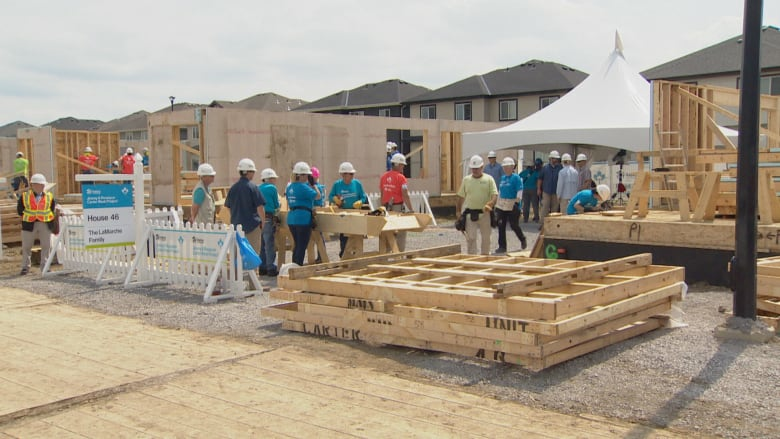 When Alfred Nikolai became president of Habitat for Humanity Edmonton back in 2005, the charitable organization was building no more than five homes each year. These days, it serves 50 hard-working families a year. It was a bright and sunny winter day when I first stepped into my role as president and CEO of Habitat for Humanity Edmonton in 2005. At that time the organization was building no more than five homes per year in Edmonton. Affordable housing was back then — and still is today — a pressing need for families across our province. The Government of Alberta recognized the severity of the issue and became instrumental in assisting municipalities and organizations like Habitat for Humanity. As leader of our small organization, I immediately saw the potential of our affordable home ownership model and realized that Habitat — our volunteers and donors — had a lot to contribute to help address the growing need for affordable housing. Many of us are unaware of the decisions that families are facing every day in our communities, especially in regards to finances. When 50 per cent, 60 per cent or even 70 per cent of gross income goes to paying for shelter costs, there is little left for the other basic necessities. Can you imagine deciding each and every month between buying your children clothes and paying the rent? Between sending your child to the dentist or buying groceries and paying the rent? The answer to this impossible dilemma is always the same. The rent is paid first because families do not want to find themselves and their children on the street. When a family is able to own their own home, however, their monthly dilemma is flipped upside-down. Their greatest burden in life, their monthly payment for their shelter, suddenly becomes their greatest blessing. For Habitat families, monthly mortgage payments are interest-free and never more than 25 per cent of their gross income. This provides them with the ability to fund their basic necessities. In addition, each payment now equates to equity savings for the future. In place of a cash down payment, families agree to work 500 hours at a Habitat build site or a Habitat for Humanity ReStore. I feel fortunate to have witnessed transformation for hundreds of families, each one with a unique story, often filled with gut-wrenching and heart-breaking tales of struggle and hopelessness. However, the truth is that my recollection of tears — oh, so many tears — are not of hopelessness, but of pride, joy, and accomplishment. Families speak to me about their newfound stability. Knowing what school their children will go to next year and knowing they will not have to move allows them to plan their work life and social life within "their" community neighbourhood. Families speak about how proud they are that their children are achieving better grades at school. And more times than I can count, parents share about how their children invite their classmates over for a sleepover — something they did not even dream to do before. Change often starts slowly but surely, and that was true of Habitat Edmonton. Although it took 18 years, in 2009, we served our 100th family. It was a great achievement, but we also knew that to seriously affect change we would need to creatively ramp up our organization to serve more families. As of 2018, Habitat is now serving 50 families per year. By the end of June we will have reached 600 families served since 1991, when the organization began working in Edmonton. The impact this has on our community is profound, as every parent is able to provide a strong foundation for each of their children. This impact demonstrates how affordable home ownership can provide generational change for many, many families. The reason Habitat is able to enact change is due primarily to our affordable home ownership model, a model that has worked all over the world: Europe, Asia, Central and South America, and across our country. The model works so well that we can say that every 5½ minutes, somewhere in the world, a family receives the keys to a Habitat home. This translates into strength, stability, and independence that families can build on for a positive and promising future. Habitat is a charitable organization. We rely on funds from donors, partnerships in many forms, and on the muscle and love of volunteers. The main reason that Habitat Edmonton has been successful is because of the people of Edmonton and northern Alberta. The community spirit that I have witnessed across northern Alberta has no rival in my opinion. Our volunteers and supporters have helped us grow to be the largest Habitat in Canada. 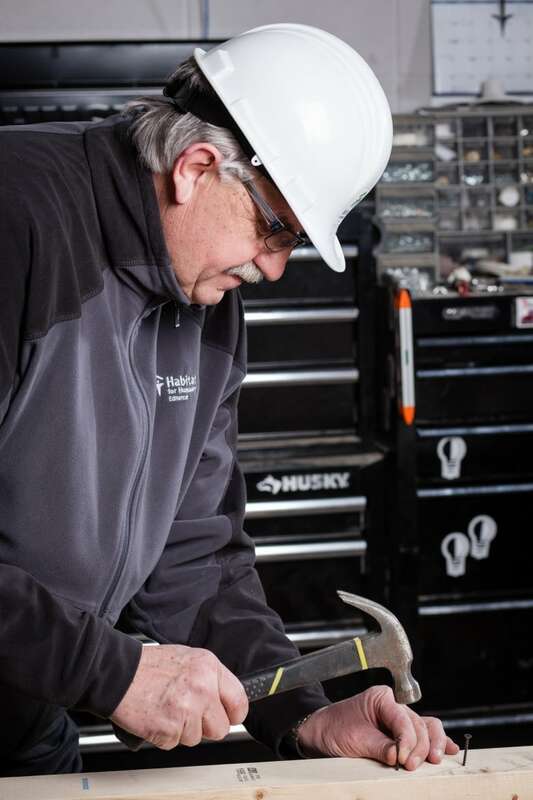 Today Habitat Edmonton is averaging 70 volunteers per day, five days per week, for 50 weeks per year. In my mind, there is no better example of community building than the spirit of neighbour helping neighbour. We truly do live in a remarkable part of the world. Many organizations — amazing organizations — in the capital region are coming together to address affordable housing at its many levels. As I look down the road I foresee that, although affordable housing will continue to be an issue in our area and across our country, I also see innovation, creativity, and compassion at work in our community to meet it head on. I am known to be optimistic, and I will continue to cheer on not only Habitat, but all organizations which are working to make Edmonton and the world a place where everyone has a safe, decent, and affordable place to live. Alfred Nikolai has served as president and CEO of Habitat for Humanity Edmonton since February 2005. He retires in July.